Denita Boschulte, MD graduated from Boston University School of Medicine in 2010. She then completed her Residency in Obstetrics and Gynecology at York Hospital in York, Pennsylvania in 2014. The Bennie and Martha Benjamin Foundation is congratulates Dr. Boschulte on her return to St. Thomas in 2015 where she has established a private practice in her specialty area and is on the staff of Schneider Regional Medical Center. KENDALL M. GRIFFITH, M.D., F.A.C.C., F.S.C.A.I. 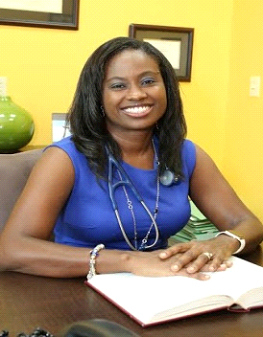 Dr. Kendall Griffith is a native of the beautiful island of St. Croix, U.S. Virgin Islands. He earned his Bachelor of Science degree at Morehouse College in Atlanta, Georgia and his Medical Doctorate at the University of Miami School of Medicine in 1994. He completed internship and residency in Internal Medicine at Jackson Memorial Hospital in Miami, Florida. He also completed both a fellowship and a sub-specialty fellowship in Cardiovascular Disease and Interventional Cardiology at Mount Sinai Hospital in Miami, Florida. Dr. Kendall Griffith is Board Certified in Cardiovascular Diseases, Interventional Cardiology, and by the International Board of Heart Rhythm Examiners for implantation and interrogation of pacemakers and cardiac defibrillators. He is a distinguished Fellow of the American College of Cardiology( www.acc.org) and a Fellow of the Society of Cardiovascular Angiography and Intervention( www.scai.org). Upon his return to St. Croix, he established the first Interventional Cardiology program in the Virgin Islands at the Governor Juan F. Luis Hospital( www.jflusvi.org ) in the year 2002. He performed the Virgin Islands’ first coronary angioplasty and successfully implanted the Virgin Islands’ first cardiac defibrillator. He also has extensive training in Peripheral Angioplasty. Dr. Griffith travels throughout the Caribbean sharing his expertise in cardiology procedures with his colleagues as well as the people of neighboring islands. He is an instructor in Advanced Cardiac life Support ( ACLS), has given numerous lectures on cardiac disease topics to medical personnel, churches, community organizations, as well as, motivational talks to local youth. 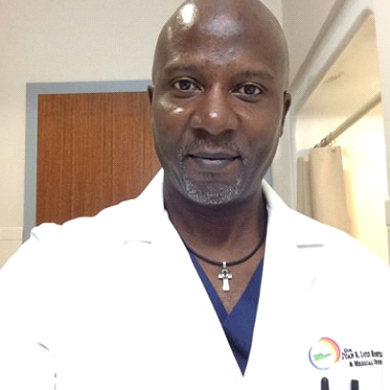 Dr. Griffith has received accolades in national and local publications for his work in the Virgin Islands. He has been honored by the local newspaper, St. Croix Avis as the first “Person of the Year” in 2007. Dr. Griffith is a former Medical Director and Chief Executive Officer of the Governor Juan F. Luis Hospital. He spearheaded the establishment of the Virgin Islands Cardiac Center at the Governor Juan F. Luis Hospital and formerly served as its Executive Director. 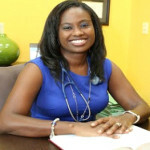 Dr. Griffith also serves as the Chairperson of the board of the Virgin Islands Medical Institute(www.vimipro.org ), is a Council member of the Caribbean Cardiac Society(www.caribbeancardiac.org ), member of the American Medical Association( www.ama-assn.org), and a member of the National Medical Association. Dr. Luis O. Amaro is the Chief Medical Officer for the Schneider Regional Medical Center. Amaro is a graduate of Wright State University School of Medicine where he earned his Doctorate Degree in Medicine. He completed his internship and residency in Internal Medicine and Pediatrics at the University of Miami, Jackson Memorial Medical Center/Miller School of Medicine. Dr. Amaro is dually board certified in Internal Medicine and Pediatrics. Dr. Amaro is a native Virgin Islander from the island of St. Thomas and a product of the Virgin Islands public education system. Dr. Amaro has served in various positions at the Schneider Regional Medical Center since his return home; Chief of Medicine, President of the Medical Staff and Vice-President of the Medical Staff. Dr. Amaro owns his own thriving private practice at Comprehensive Primary Care Specialists, LLC, he also serves as the Medical Consultant of the Queen Louise Home for the Aged. Dr. Amaro embarked on his latest and most ambitious venture on January 1, 2015, when he was selected to lead the SRMC Medical Staff as Chief Medical Officer. He thrives in the challenges that lay ahead and joins a new executive team in developing Schneider Regional Medical Center in becoming the USVI’s Health System of Choice. 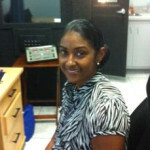 Dr Reva Richardson has been practicing in St. Thomas since 2004. She graduated from the University of the Virgin Island with a degree in Biology and received her medical degree at Baylor College of Medicine, in Houston Texas. She completed a dual internship and residency program in Internal Medicine and Pediatrics at the University of Miami/ Jackson Memorial Medical Center in Miami Florida and is board certified. She is a past President of the Roy Lester Schneider Hospital medical staff, and president of the Virgin Islands Medical Society. Dr. Richardson is the cofounder of Living Hope Cathedral a non-denominational church in St. Thomas where she enjoys ministering with her husband Pastor Carl Richardson. Dr Richardson and her husband Carl, have 2 children. In addition to spending time with her family, Dr. Richardson enjoys running, travelling, reading and ministering to women. 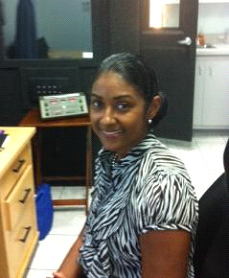 Dr. Gentius was born and raised on St. Croix, where she graduated from Central High School. She earned her undergraduate degree from Hampton University in Virginia, before going on to A.T. Still University, where she earned her doctorate in audiology in 2005. Now she maintains a territory-wide practice, with her main office on St. Croix and a satellite office on St. Thomas where she sees patients once a week. She also treats some patients who travel to the U.S.V.I. from the British Virgin Islands or other nearby islands. 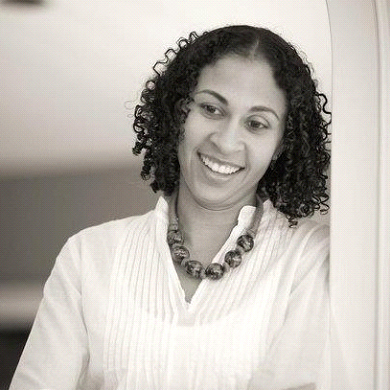 DR. VENNE S. WILLIAMS has been a physical therapist for the past 15 years. With the help of the Bennie and Martha Benjamin Foundation, Inc she was able to successfully earn an entry level degree in physical therapy at Florida A&M University. While practicing as a physical therapist in the Washington DC/ Northern VA area she continued on to earn a Doctor of Physical Therapy degree at Virginia Commonwealth University, Medical College of Virginia. Upon return to St. Croix as Director of Rehabilitation Services she successfully designed, developed and implemented the Cardiac Rehabilitation program at the Virgin Islands Cardiac Center, further developed rehabilitation services at the Governor Juan F. Luis Hospital and pursued further growth there in her role as Vice President of Ancillary Services. Her areas of physical therapy experience include; Orthopedics, Acute Care, In patient and Out patient Rehabilitation, Equine Therapy, John Barnes Myofascial Release (MFR), Womens’ Health Therapy, Pelvic wellness, Dry Needling, Education/Academia, Administration, Community Health and Wellness education. Dr. Williams currently practices as an outpatient orthopedic therapist continuing to gladly serve the St. Croix community.